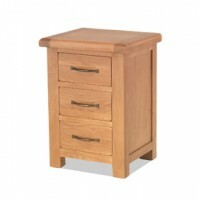 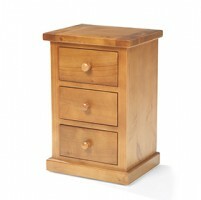 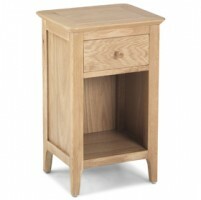 In the interests of balance and harmony, you might want to get one of these bedside tables for each side of your bed. 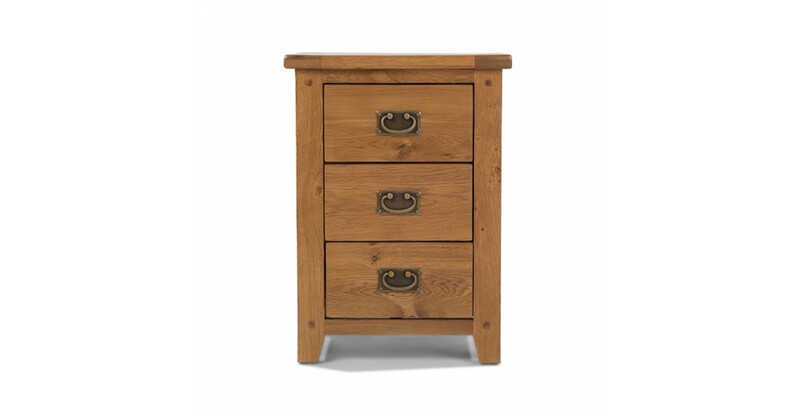 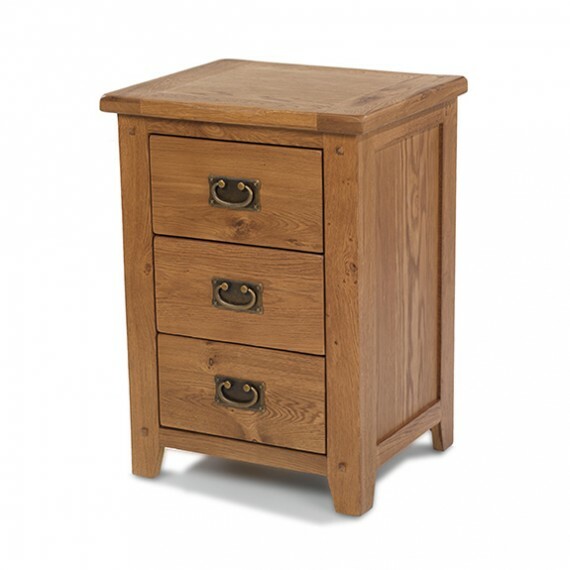 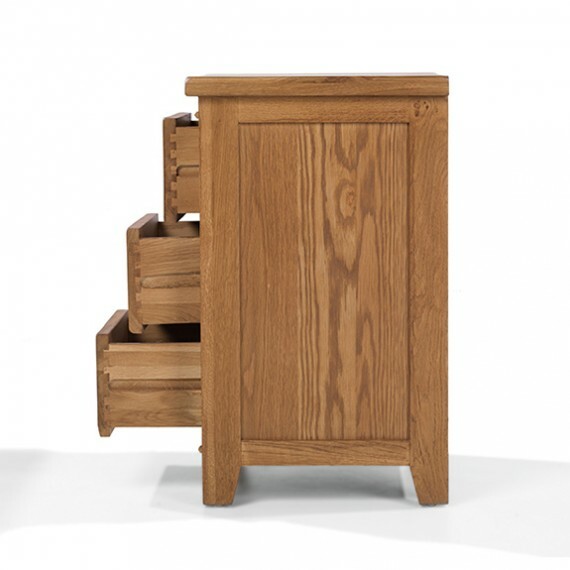 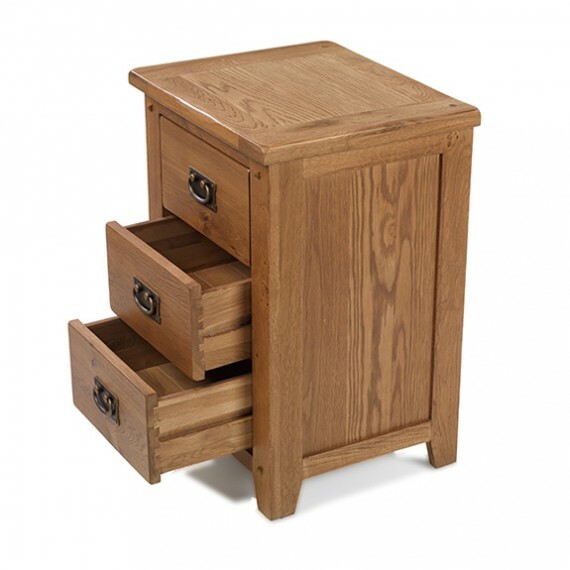 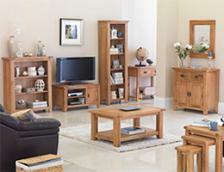 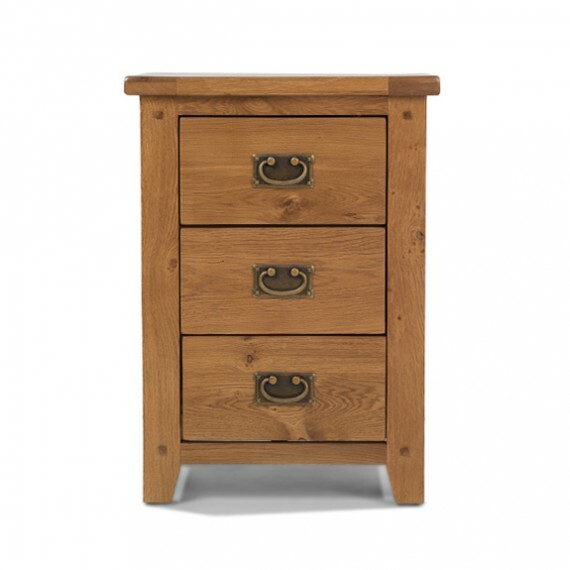 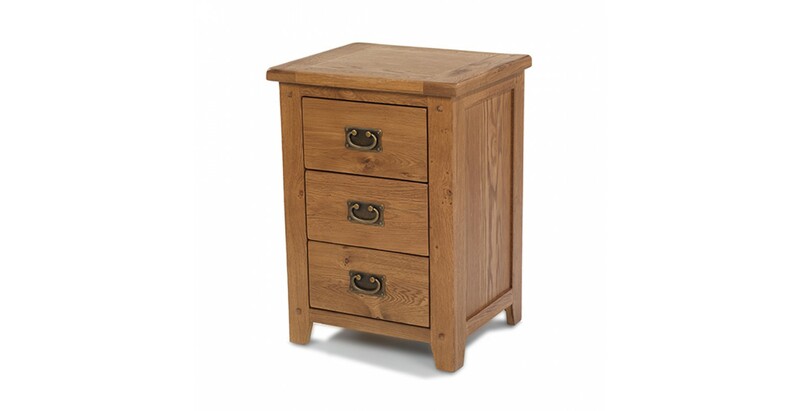 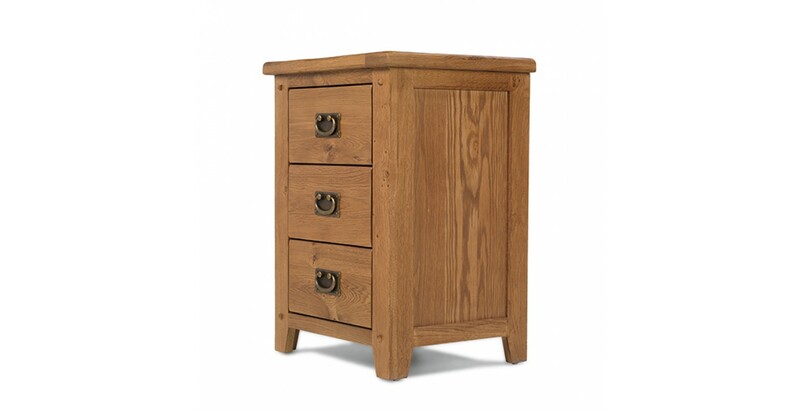 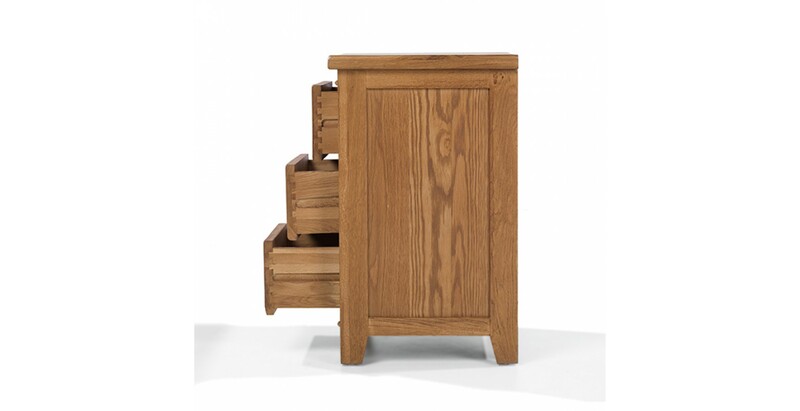 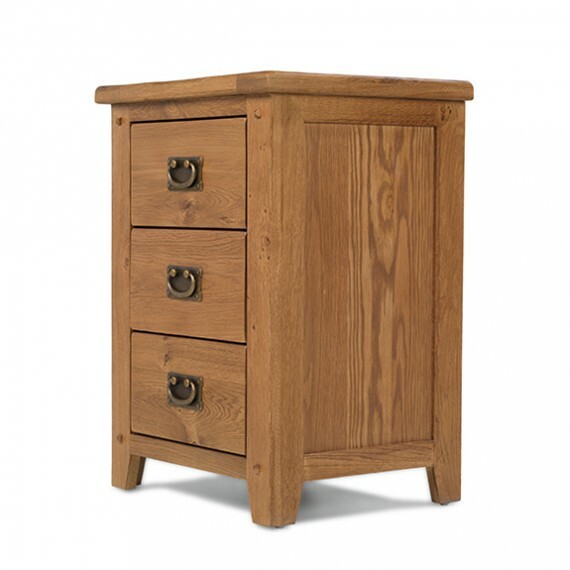 Made from solid oak and oak veneers, it has three dovetailed drawers to store all your night-time essentials, with vintage-effect drop handles with back plates adding attractive and practical accents. 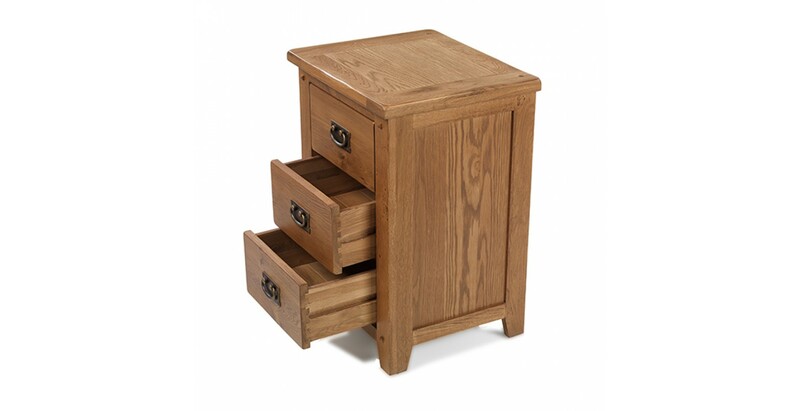 There's ample room on the thick top for your smartphone, Kindle or book and lamp, and other details like the rounded-off corners and subtle peg are shown at their best through the natural lacquer finish.